This easy chocolate mint cashew pretzel toffee is a tasty homemade candy recipe that has two great flavors, sweet and salty. The sweetness of the toffee, along with the salty cashews and pretzel pieces, topped with chocolate mint, makes for one delicious sweet treat that can be made at home. 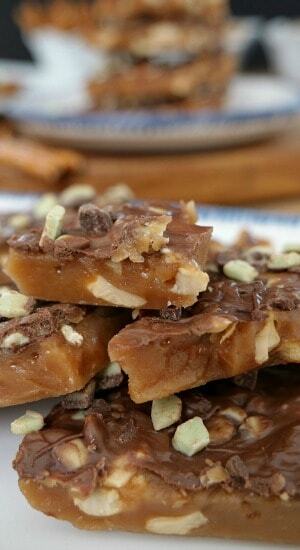 A family favorite recipe which is perfect when the craving of delicious buttery toffee hits. 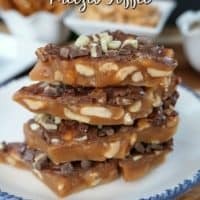 Just like the old-fashioned type of toffee we have grown to love, this simple toffee recipe resembles the toffee that my grandmother used to make, crunchy, full of delicious flavor and one that will be made over and over again, it’s that good. 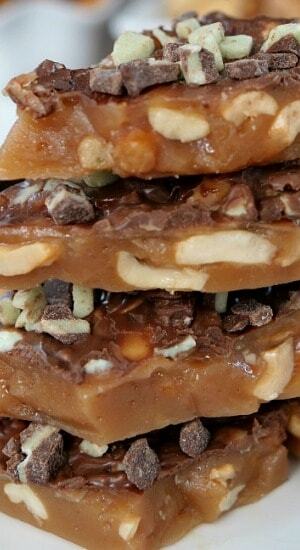 I love homemade candy recipes that incorporate both the sweet taste, along with the salty flavor, in one recipe. 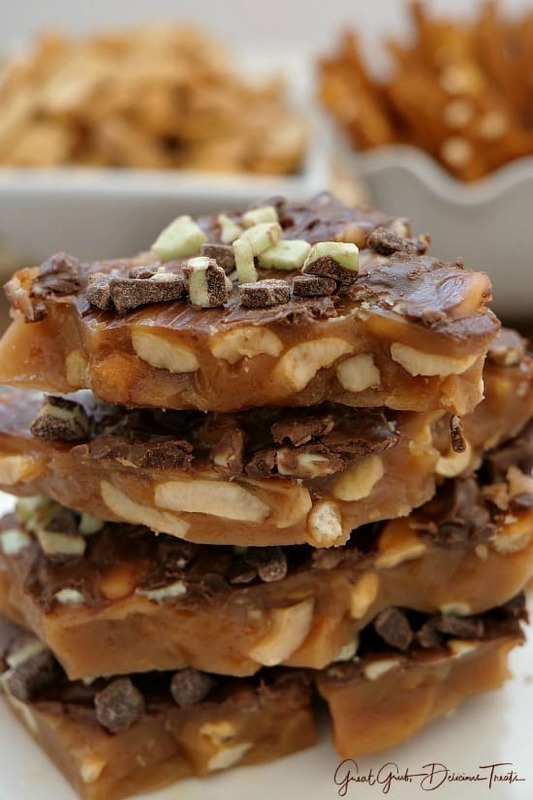 The chocolate mint topping used in this homemade toffee recipe is Andes® creme de menthe baking chips which has great flavor and compliments the sweetness and saltiness of this toffee recipe perfectly. Any flavor of baking chips can be substituted but the chocolate mint is to die for. Start out by melting butter in a heavy bottom pan over medium high heat. Once the butter has melted, add the sugar, water and corn syrup. Stir until well incorporated and then continue to stir constantly until the temperature reaches 300° then remove from heat, add cashews and stir. Then add the pretzels and stir. 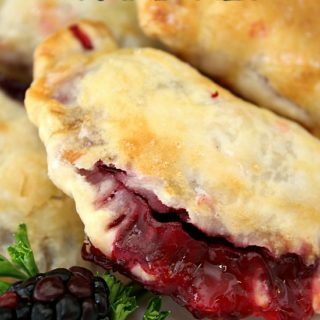 Pour into a prepared 11 x 7 baking dish lined with foil. Spread out mixture. After about 3-4 minutes, add about 1/2 cup of chocolate mints to the top. Let it sit for a few minutes to melt and then spread with a spatula to cover the top of the toffee. After about another 7-8 minutes, add a little more chocolate mint chips and let sit to harden. 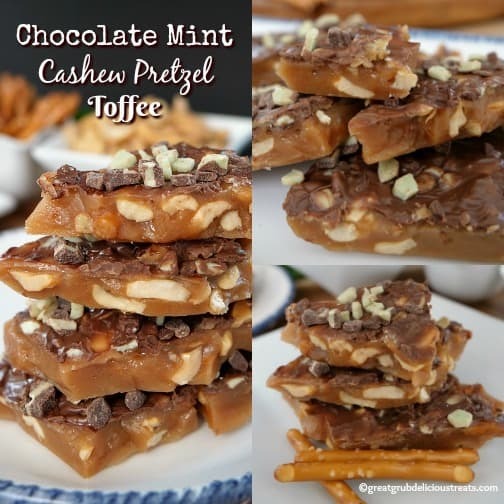 Once the chocolate mint cashew pretzel toffee has completely cooled and hardened, remove it from the baking dish and holding onto the foil, kind of drop it and break the toffee against the kitchen counter into bite size pieces. Super easy, just a little time-consuming stirring the toffee mixture but believe me, it’s well worth all the stirring to get delicious toffee that’s loaded with cashews and pretzel pieces. 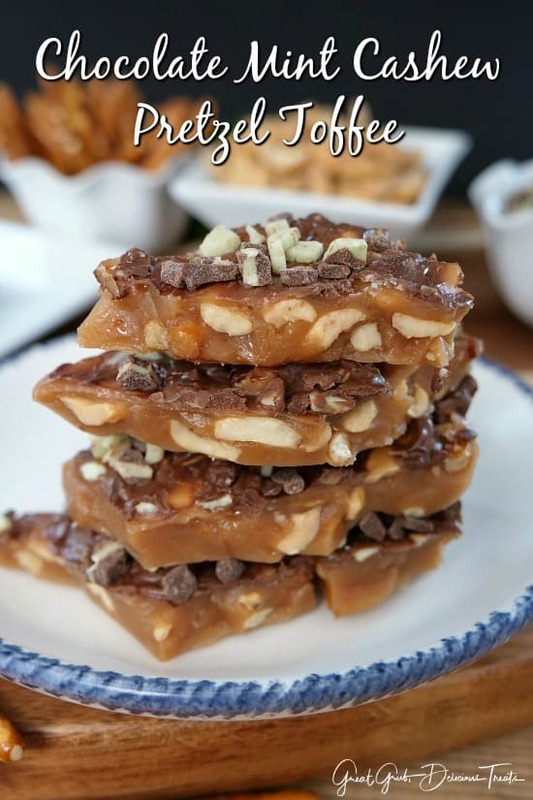 Here are a few other candy recipes on the blog that you might enjoy: Butterscotch Peanut Butter Crispies, Homemade Caramel, Cashew Toffee Butter Crunch, Chocolate Covered Cookie Butter Stuffed Pretzels, and this Chocolate Cashew Brittle, plus many more. 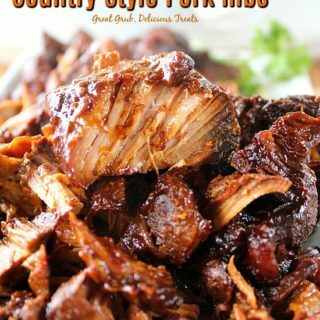 With over 300 recipes, I’m sure there are quite a few you will fall in love with. 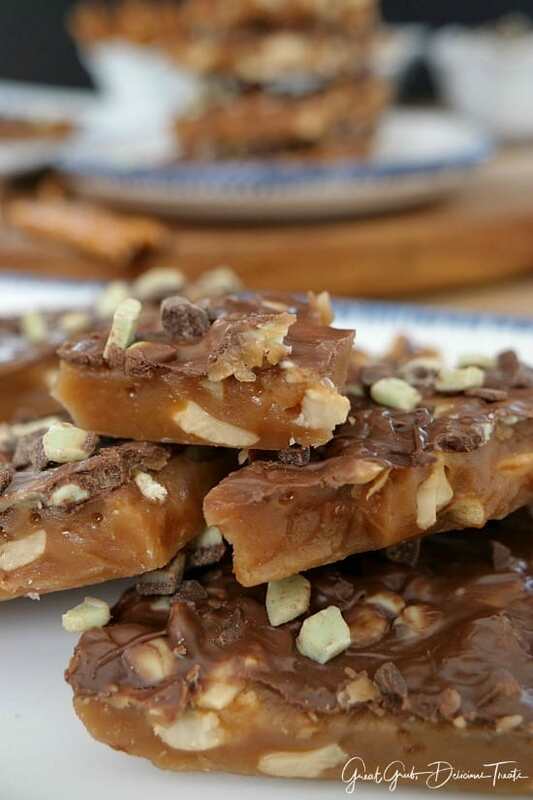 A delicious homemade toffee loaded with cashews, pretzels and topped with chocolate mint baking chips. In a heavy bottom pan, melt butter over medium high heat. 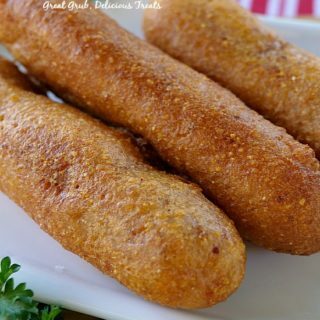 Once melted, add sugar, water and corn syrup. Stir and bring to a boil. 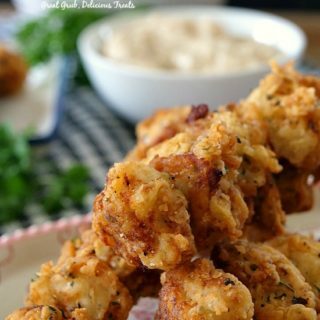 Reduce heat to medium and continue stirring constantly until temperature reaches 300° approximately 20 minutes. When temperature reaches 300° remove from heat and stir in cashews and then stir in pretzel pieces. After about 3-4 minutes, add 1/2 cup of chocolate mint chips and let melt, then spread with a spatula to cover the top of the toffee. After about another 7-8 minutes, add a little more chocolate mint chips. 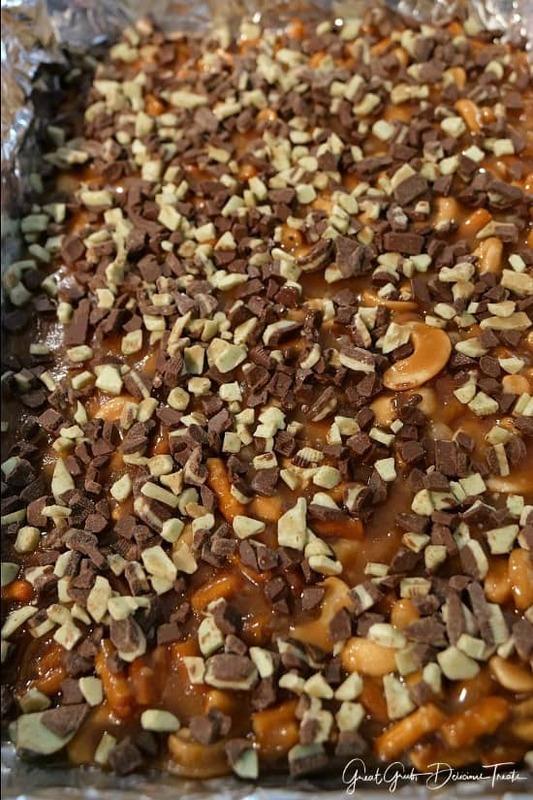 Let set to harden then once completely hard remove from the baking dish and holding onto the foil, break the toffee against the kitchen counter to bite size pieces then enjoy! Your photography is amazing. 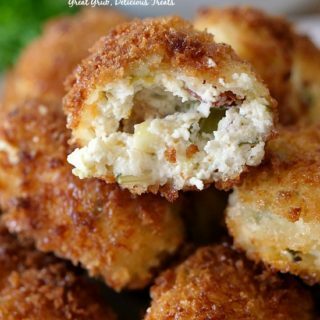 I understand food is difficult to photograph so to look appetizing . But you’ve found the secret. 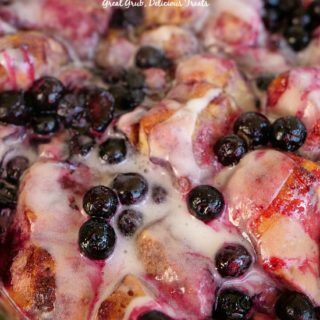 Your recipes are so yummy. Thank you for sharing them with us out here.